A Manchester Metropolitan student has been named the Royal Society of Chemistry Chemical Sciences Apprentice of the Year 2018. Holly Carter is studying towards her FdSc in Chemical Science at the University, while completing an apprenticeship at AstraZeneca ­­– a research-based pharmaceutical and biopharmaceutical company. The award is given in recognition of outstanding contribution made by an apprentice working in the chemical sciences sector. Holly won £1,000 and a certificate. Her work focuses on the development and scale-up of chemical reactions. The compounds produced are formulated into medicines, and her work at AstraZeneca has helped to reduce the development time needed for numerous drug projects, increasing the possibility of getting drugs to market faster, meaning that patients benefit earlier. She said: “I am absolutely delighted to receive the Royal Society of Chemistry’s Chemical Science Apprentice of the Year award. Over the last 18 months, I have learnt so much by working at AstraZeneca, and it is an honour to have my work recognised with this award. It has been an amazing experience so far, and I am looking forward to learning more over the rest of my apprenticeship. 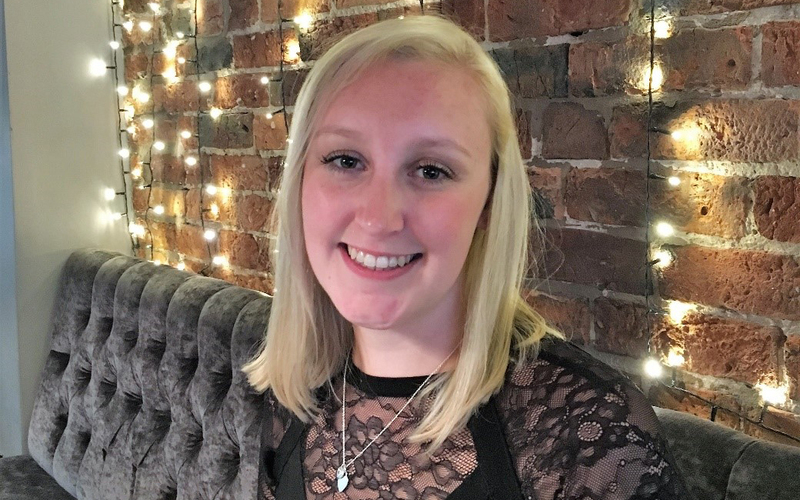 It is the second year a Manchester Metropolitan student has won the award – Roxanne Wright, who was also completing her degree alongside an apprenticeship at AstraZeneca, won the award in 2017.